HOLY COW IT HAPPENED-NUECES COUNTY COURTHOUSE IS SOLD!!! MIKE PUSLEY AND OTHERS TO BE CONGRATULATED ON A JOB WELL DONE! Folks I have lived and worked in Nueces County my entire life. I have watched as the once somewhat majestic Nueces County Courthouse has crumbled. I have watched then Commissioner Mike Pusley do everything he possibly could to find a solution to a problem in his precinct. Mike Pusley worked every angle possible to tackle this problem and for many years nothing materialized. But then the skies opened and miraculously (no exaggeration) Mike Pusley and Nueces County put together a deal to sell the Nueces County Courthouse. Now let me say there are many to give credit to here. This would not have happened without the Nueces County Commissioners Court, The Corpus Christi City Council and the Corpus Christi Regional Economic Development Corporation. This project was truly representative of how things can work if we all work together. That being said, Mike Pusley still gets the majority of the credit for staying with this until the I’s were dotted and T’s were crossed and the old Nueces County Courthouse was SOLD. The group that bought this historic building has quite simply provided a spark of light to this community like very few have. We have been fortunate to have billions with a B of dollars invested in the Coastal Bend recently. Quite honestly we are on a little bit of an economic roll. But dare I say there may not be any more important of an emotional project to move forward in this community right now. The Nueces County Courthouse is symbolic of many things to many people, some good and some not so good. 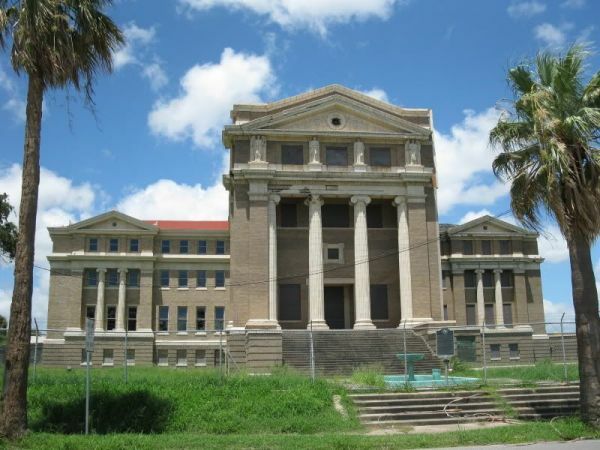 To know the old Nueces County Courthouse has sold to an apparently very reputable developer who plan on preserving the history by creating a boutique hotel out of this historic eyesore represents to me a symbol of pride and accomplishment like very few other symbols can accomplish in Nueces County. So thank you to Mike Pusley for his tireless work and dedication and for never giving up on making something happen. To all of those I have thanked and those I may have missed this is a victory. While the real victory will be when that beautiful hotel opens up for business the sale is an important step forward for the Coastal Bend. To the developers please reserve me a room now for opening night. I look forward when the time comes to laying my head on the pillow at the newest hotel gem in Nueces County and getting a great night’s sleep.